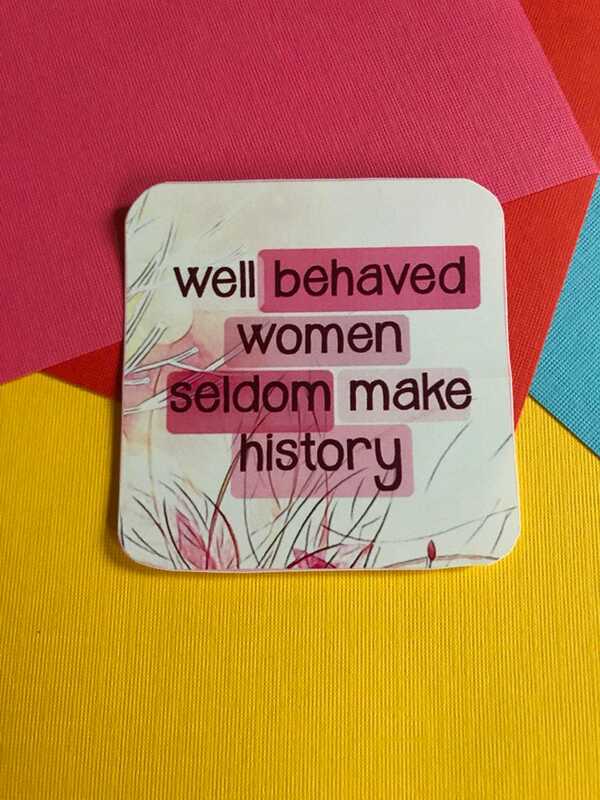 This square sticker features the words "Well behaved women seldom make history." Also available in 2.5 inches / 6.35 cm square. Looks great. Good buying experience. Love, love, love my stickers. I have them displayed on my truck window and I've gotten several compliments. Thanks!